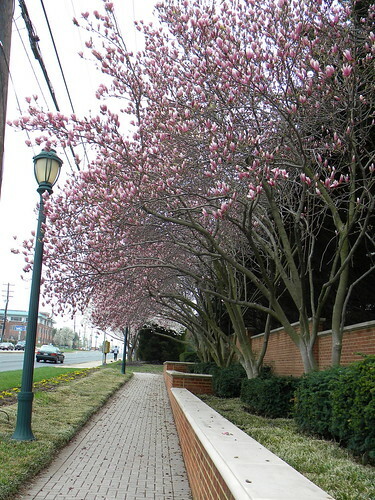 Although the blooming of the Cherry Blossoms take center stage during spring in the DC and MD area, the Magnolias too make their presence known through their fragrance and luscious pinkish petals. 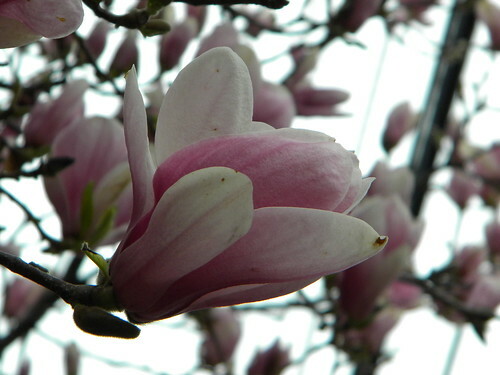 The Magnolia flower is one of my favorite spring flowers. I love their huge flowers and I can smell their fragrance even if I'm a few feet away. 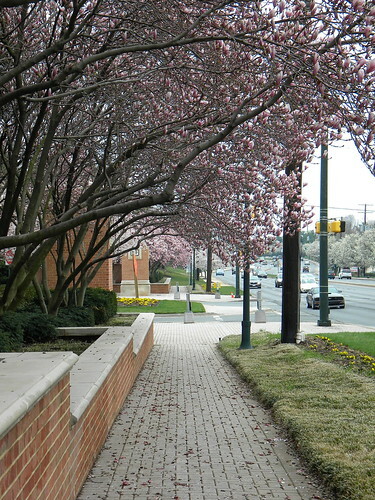 So during the weekend, I took these photos at Rockville, MD, while Kepi and I were out enjoying all the spring blooms in the area. 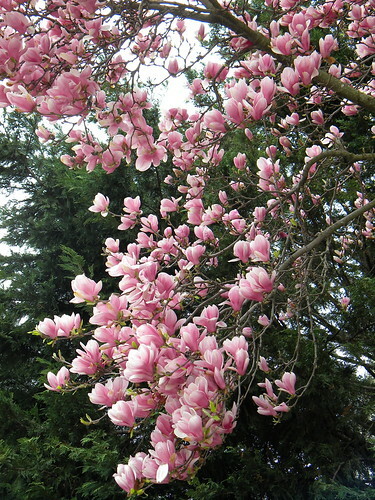 Every spring, I take note of several great spots to do flower watch and return to these spots each year. King Farm Village is one of them. while waving at every driver or passenger that drives through 355.
but how can I get a solo picture of each if there are too many of them beauties. So beautiful they make me smile. I'm just so glad I can share them with you. 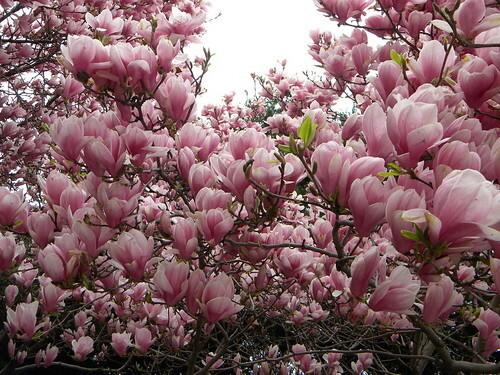 I love magnolias. And I've never seen so many blooms at one time. Wow, this is wortht the trip. So beautiful. They are so gorgeous. Lovely. inggit talaga ako sa flowers ninyo...hu hu! thank you for sharing them. 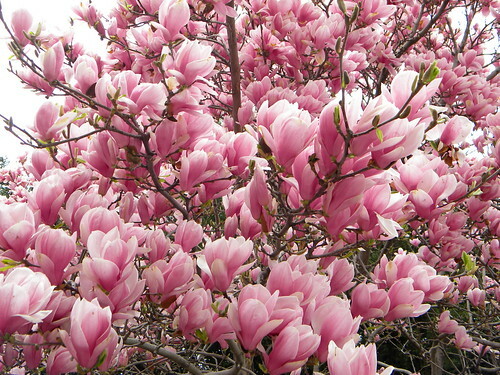 flowers, even in pix, help relieve stress and provide too great a pleasure. I want to plant that in the Phils. Hehehe. If only!